I so wanted to use that title for the project but didn’t think it would look too good in school. So now I can’t resist. This is a 5th Grade project that had hilarious results. I don’t have a picture of it, but one looked like a big Hershey bar and carried a sign that said, “Candy’s not good for you.” For directions for,”I’m No Turkey,” look in the 5th Grade Projects Gallery in the sidebar. 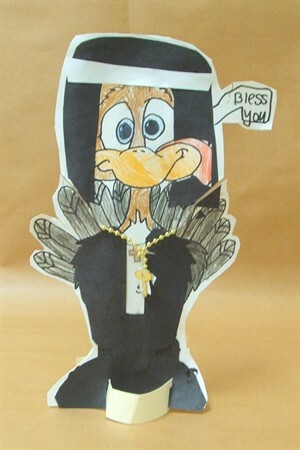 This entry was posted in 5th Grade, Thanksgiving and tagged 5th Grade, art, easy turkey craft for kids, for kids, project, thanksgiving classroom project, thanksgiving craft for kids, thanksgiving crafts, thanksgiving project, thanksgiving project for kids, thanksgiving turkey craft, turkey craft for kids. Bookmark the permalink.